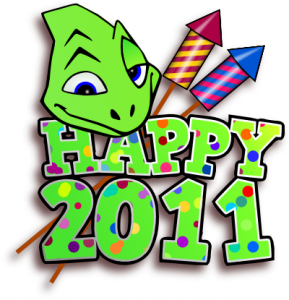 Bonjour, tout d’abord… comme si vous ne l’aviez pas encore assez entendu… bonne année 2011 ! Mais ce qui nous intéresse aujourd’hui est la sortie depuis peu de KOffice 2.3 bientôt renommé en Calligra Suite. KPresenter est pourvu d’un nouveau trieur de diapositives et de plusieurs nouvelles transitions. Amélioration du système de greffons et du moteur de rendu pour le support du format OpenDocument. Meilleur support de la lecture des formats Microsoft (doc, xls, ppt, docx, xlsx, pptx). Bonne nouvelle donc, c’est cette version qui sera proposée avec openSUSE 11.4. Personnellement je vais tester ça très vite toujours dans l’espoir de pouvoir remplacer OpenOffice.org qui est lourd et qui n’est pas vraiment adapté à KDE. In contrary I am sad that the K was left off, but happy that it was left from un-natural way like Kword or Kpresent . The Kexi , Karbon and Krita are natarul and you can pronounce them without problems. Application names should not be just english or some basic words like Word or Exchange . They can very well be non-english with K’s but the K must be added with a style (Krita, Amarok, digiKam, K3b, Konversation) so that the application really has a unique name what is possible pronounce normal way. KWord, KPresent and even the KPlato are such that it is not possible and it is not good but it makes the name funny and too geeky. The K in application names has now gone to the other end, where there is a real witch hunt going about every possible K in the names and taunting how the K’s are bad and they are so terrible and they should really go. We can not have situation where every application has similar names or names are so close to the real world way of discussing things.That is one thing what Microsoft did gain for Microsoft Office, that the name was so typical what people used on everyday talks. Word, Office, Powerpoint, One Note and so on. They are really stupid names as you can not have more than one of those sets and they get even the power from being a normal daily words.WordsTablesStage Those are nice ones (tables and stage, especially the stage is nice) but when thinkin Word and Words you can not notice the idea.KWord was very geeky but it had own identity what even MS Word does not have. Problem was it could not be pronounced correctly. Thats why names should have been in KOffice more like KDE Office and KDE Word and so on.But the names were chosen and they are fine but they do not have identity being unique and such that you can just type the name to google and you could find right away the application name and discussions from it. People talks from Microsoft Word just as Word and now you have Words what is even more in the shadows of the Microsoft Word. No own identity at all. Nice one but it does not have elegance on it at all. And it is sad.